Industrial Engineering is an entire branch within the engineering umbrella focusing on complex processes and systems within applications. Robotic engineering, on the other hand, focuses on integrating robots and other processes within production lines. Both engineering disciplines seek to optimize these processes for cost-savings, increased safety, and improved productivity. The particular focus of industrial engineering, though, is to identify issues and ultimately find solutions to make any process better. ICR’s engineer’s design, consult, set quality standards, and develop testing equipment and procedures, all while serving as the backbone of the company. They also utilize the same skills to develop, build and integrate robotic work cells or production line enhancements. Our engineers are equipped for projects both large and small. We utilize the latest equipment to develop and either design new systems or create modifications to existing infrastructure. ICR’s engineers have qualified manufacturing backgrounds and indispensable experience providing consultations in a variety of areas. We support all projects from mechanical to electronic based engineering. ICR not only repairs the various industrial controls existing throughout the manufacturing sector (such as PLCs), but we also program and implement industrial controls on-site. Our engineers are equipped to execute projects ranging from simple circuits to more complex projects involving PLCs or servo motion control systems. 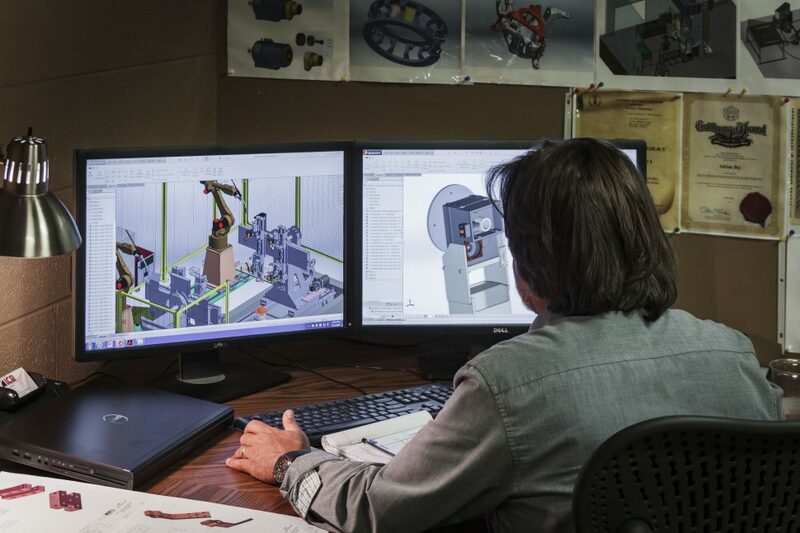 Processes, especially industrial, serves as the foundation of our operating philosophy. ICR’s engineers have not only developed and implemented the processes your facility requires in order to produce effectively, but we possess the expertise to build out electronic and mechanical systems that are necessary to complete such processes. Engineers at ICR consult with customers on a variety of different robotic integration projects that range from small automated cells with a single robot to a medium sized project consisting of up to four robots. We also offer EOAT (End of Arm Tooling) system support to enhance any current robotic cell or automated production line. Quality is an important requirement needed for manufacturing production facilities to operate effectively. Our processes and procedures are ever changing to sustain a high quality standard that not only produces cost-effective solutions, but has substantial cost-savings as well.